CB750 prototype provides a rare opportunity to acquire an iconic motorcycle. at The National Motorcycle Museum in Birmingham. 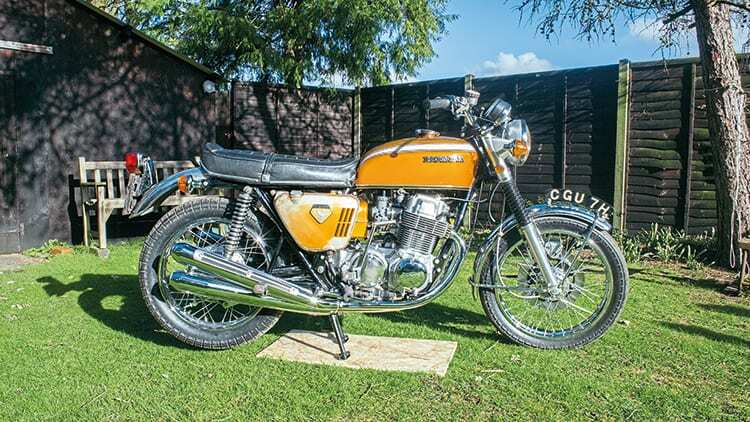 Consignments include a 1969 ex-John Lennon Honda Z50A monkey bike, while one of the star lots is a 1969 Honda CB750 prototype, which featured in early press coverage of the model. There’s a wide variety of lots in the auction, to suit all tastes and pockets, from a couple of vintage AJS projects through to 1970s Japanese ware, plus lots of mopeds. Contact info@handh.co.uk or 01925 210035.